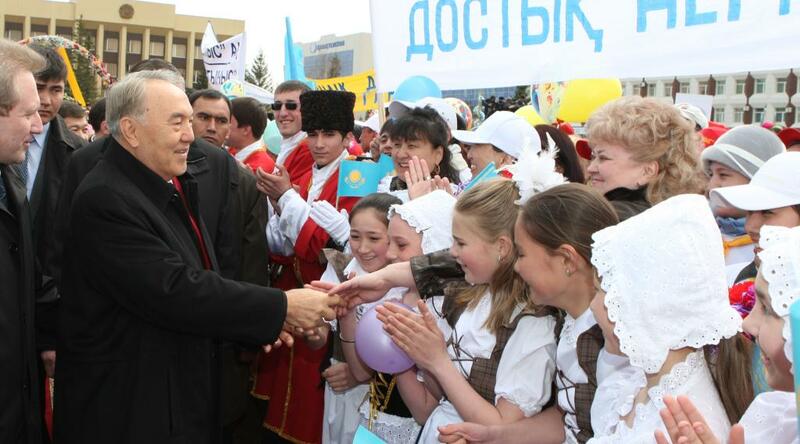 Head of the state Nursultan Nazarbayev congratulated all Kazakhstanis on the Day of Unity of the People of Kazakhstan. Nursultan Nazarbayev pointed out the First of May is the national holiday which is celebrated across the whole country, in the every city and village. Since gaining independence the meaning of this holiday has been significantly deepened. The Day of Unity of the People of Kazakhstna has become the symbol of our strong friendship and solidarity, unity of our thoughts and aspiration. There are 130 nationalities in our country and they are all considered themselves as unite friendly family. The country’s history proves that differences in the national cultures are not the reason for disagreement but a unique chance for development and mutual enrichment. - The Kazakhstanis should be solidary and stronger to be a nation of patriots. We have a significant goal for the future – the construction of prosperous and wealthy Kazakhstan which is to become home for all Kazakhstanis, - the President said. Head of the state emphasized the significant contribution made by the residents of the region to the development of the country’s economy. The region has achieved good results by the first of May. While new production facilities are being launched the new job vacancies are also being created. Over the last three years the industrial base of the region increased twofold. Last year’s grain harvest was record-breaking with over 5 million tones. Good harvest has been gathered in all the regions of the country. Due to grain export the Kazakhstan’s farmers receive good returns. Finance should be directed at further development of the agrarian complex of the country, purchase of new equipment and technology. Akims of all the regions should observe it, the President pointed out. Nursultan Nazarbayev congratulated all residents of the region on this holiday and wished them peace and prosperity.